FPT - Fiat Powertrain Technologies - is a part the Fiat Group and includes all the activities related to powertrains and transmissions to Fiat Automobiles (Fiat Powertrain), Iveco (Iveco Motors), Centro Ricerche Fiat and Elasis, CASE, New Holland. 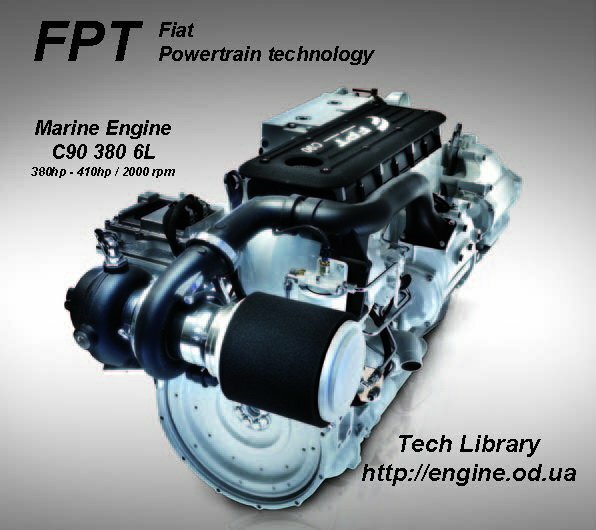 191010 FPT marine Fiat Powertrain (FPT) Marine diesel engine Data Catalog and Overview. Free download. 191011 N-Series Fiat Powertrain (FPT) N60 400 / N67 450 / N67 570 / N60 400PD / N67 450PD / N67 500PD 6 Cylinders in line Common Rail Diesel Engines Overview and Data (199kW-478kW). Free download. 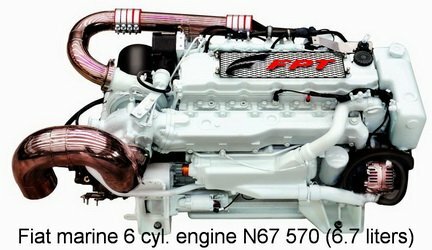 191012 C9-Series Fiat Powertrain (FPT) C90 380 / C90 620 / C90 650 6 Cylinders in line Common Rail Diesel Engines Overview and Data (301kW-478kW). Free download. 191013 C13-Series Fiat Powertrain (FPT) C13 500 / C13 825 / C13 TE3X 6 Cylinders in line Diesel Engines Overview and Data (382kW-607kW). Free download. 191014 C87 TE1D Fiat Powertrain (FPT) C87 TE1D Diesel Engines Specification. Free download. 191015 C Series Fiat Powertrain (FPT) USE (Operation) AND MAINTENANCE Manual. Free download. If you don't see manual or parts catalog what you need on this page please write and ask. Also check the page "IVECO". May be you find your engine there.